An intelligent customer experience treats customers consistently and personally no matter where they encounter a brand. Rather than approaching the marketing, sales, and support phases as separate experiences, Intelligent CX treats the entire process holistically. It is a method of unifying and simplifying the journey so that customers get what they want with minimal friction. Businesses that realize their customer experience is their most valuable differentiator can start implementing the Intelligent CX methodology immediately by following the process below. Intelligent CX connects three brand functions. that help customers find your product. product into those who buy it. The teams and resources that create and maintain product usefulness. Support helps customers get the most from a brand’s products. Intelligent CX is a three-step cycle. Where does your audience encounter your brand? Online, in-store, over the phone, or any combination of the three, you should try to identify as many touchpoints as possible. Consider separating the touchpoints by channel in order to be thorough. This step is vital for laying the foundation for your business’s customer experience transformation. Creating a fully connected intelligent customer experience requires you to anticipate where your customers will come in contact with you so you can begin meeting them with a personalized experience at the next encounter. Take time to plan which touchpoints will be connected in the near and long term. By identifying what touchpoints you have data for and which ones need more attention, you can gain some quick wins while keeping an eye on the future. At each of your touchpoints, you collect data. Some is qualitative, while some is quantitative. Both are crucial. Your goal is to examine how the data points can be used to create a more connected experience between (and within) the marketing, sales, and support phases. The more data you use to correlate, the clearer the friction points will become. The purpose of this step is to understand the multitude of conversion paths your customers take when interacting with your business, where and how they overlap, and how you can remove the friction points across their entire journey. Connect sales to support: Do customers who buy a specific product always ask the support team the same questions? Connect marketing to sales: Do visitors to one article convert more? Do visitors from one ad bail out of the buying process at the same step? Connect marketing to support: Did support call volume drop after you added a core content blog post? Data creates connections that bridge the gaps between touchpoints. These connections are what enable you to treat your customers to a consistent, connected experience across each stage of their journey. Eliminating silos between marketing, sales, and support leads to experiences that make your customers feel like they are important, seen, and understood. Like remembering a friend’s personal tastes when giving a thoughtful gift, Intelligent CX shows that you care about your customers on an individual level. There are many ways the Intelligent CX methodology can enhance your business. Identify the highest-performing ad copy to use in your sales pitches. 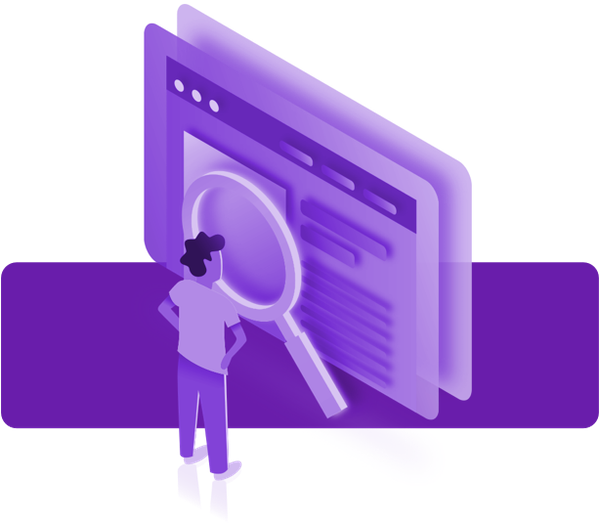 Use conversion rate analysis to find your highest-performing design layouts and apply them in multiple PPC campaigns for increased conversion. 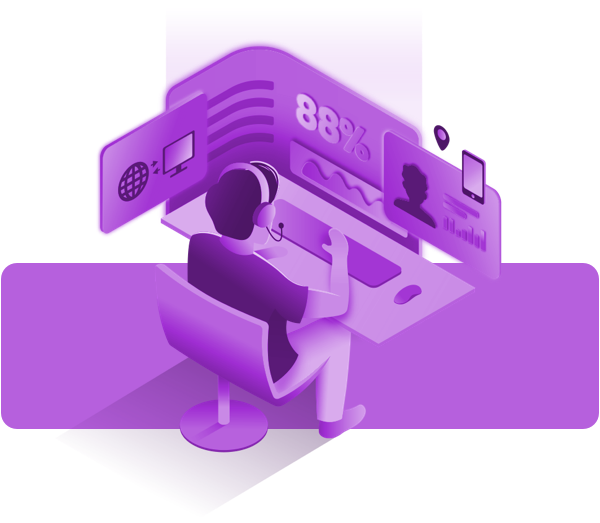 Reorganize customer care content to emphasize the most-asked support call questions and solve your customers’ problems before they pick up the phone. Revise product marketing to answer common sales questions. Anticipate objections with targeted sales content based on the results of past pitches. Imagine giving your customers a personalized experience no matter where they encounter your brand. With the power of Intelligent CX, all your touchpoints are transformed from generalized to individualized. Customers build a deeper connection to your brand because you treat them as individuals rather than just a number. 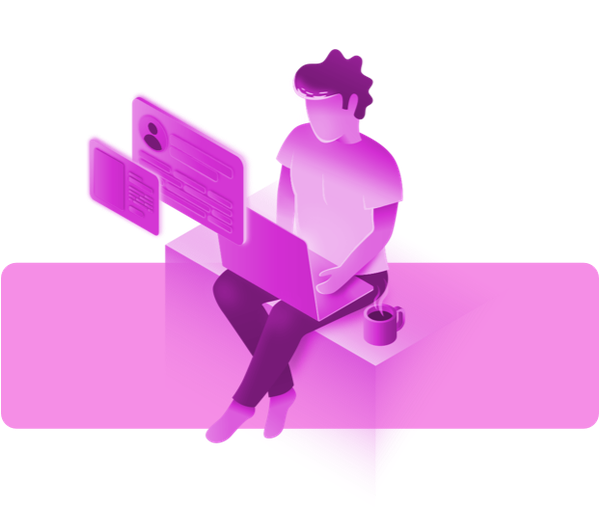 No matter where customers are or what device they are using, Intelligent CX provides experiences so frictionless, they won’t even recognize the symphony of systems, data, and people performing behind the scenes. Find, engage, and connect with your customers like never before.